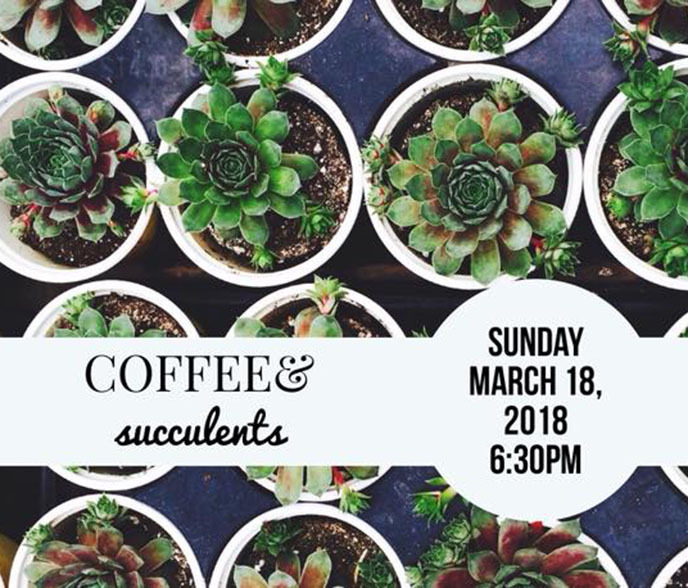 Join us for the evening to build and take home your very own succulent terrarium! Complimentary coffee and pastries will be provided. Legends Coffee is putting together a series of Sunday night workshops to bring the community together for evenings of fun and meeting new people while sipping coffee and trying new hobbies that may have sparked your interest. Join Legends for one (or all!) of their workshops because they have some really fun things planned!